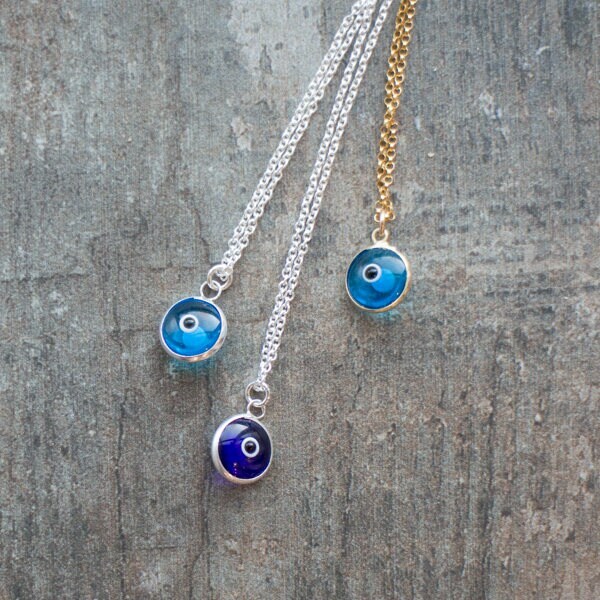 Cute Evil Eye Amulet Necklace is available in Sterling Silver or 14K Gold Filled. 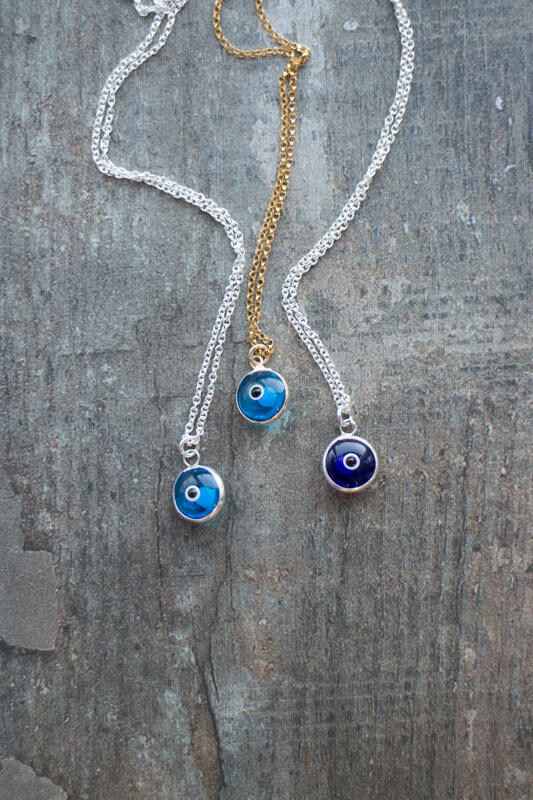 Handmade enamelled glass Evil eyes are framed in 925 Sterling Silver Sterling Silver and 14K Gold Plate and hanging on an elegant, dainty chains. 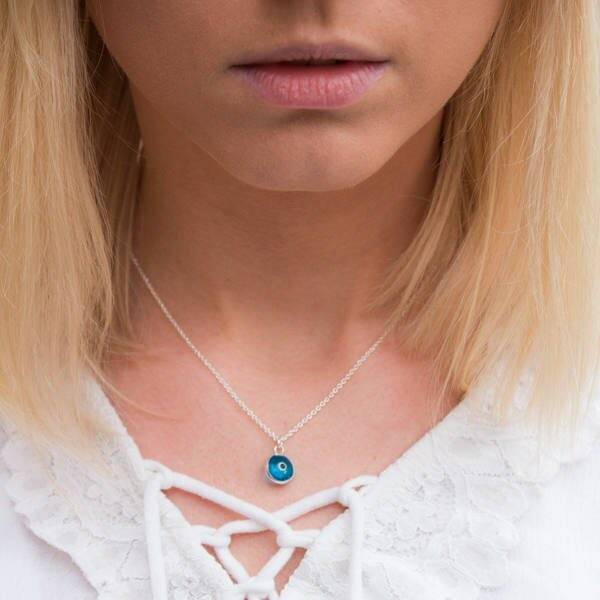 Perfect for layering! 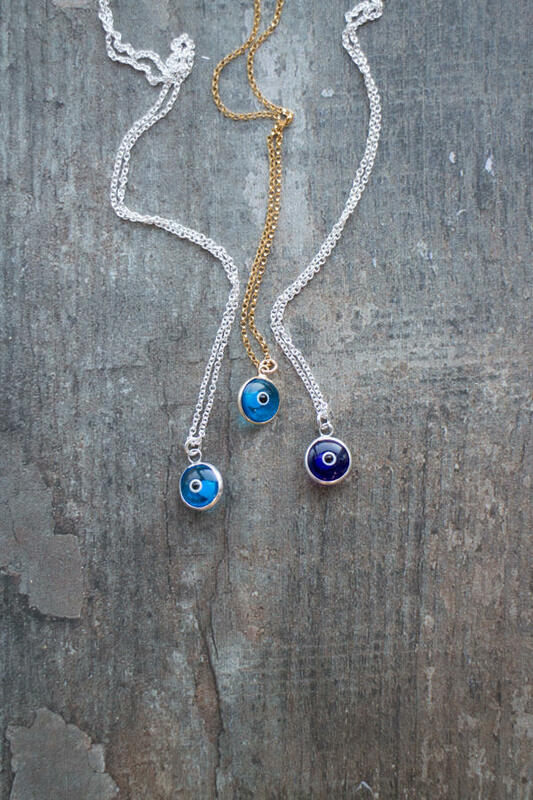 Sweet and dainty, Evil-eye amulet is believed to bring protection to the wearer. •14K Gold Fill or 925 Sterling Silver chain with spring clasp closure. •Please choose your length from the menu. 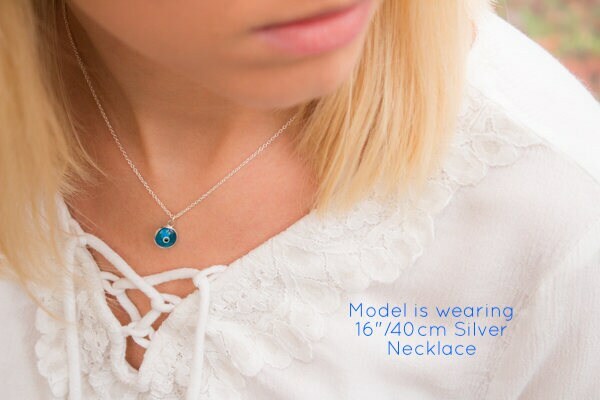 Model is wearing a 16"/40 cm chain. this was my second order. they are beautiful!